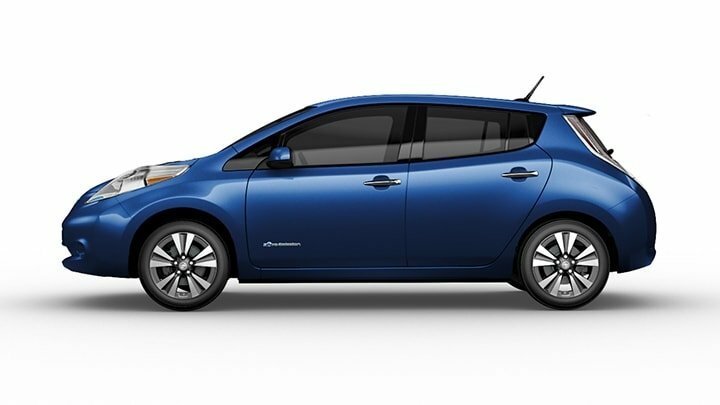 The 2017 Nissan LEAF features a high-response, 80kW AC synchronous motor that generates 107 horsepower and 187 lb-ft of torque, providing a highly responsive, fun-to-drive experience that consumers often expect from traditional, gasoline-powered vehicles. There are so many things to love about the best-selling electric vehicle in the United States (and the world), it’s hard to know where to start. I love to drive the Leaf for many reasons. The torque is exceptional. When I touch the accelerator, it leaps forward as if it were a racecar. Standard gasoline and diesel powered engines don’t provide full power the instant one touches the gas pedal. Electric power is virtually 100% available from the first millisecond one commands the Leaf to spring forward. The Leaf is comfortable to sit in and to ride in for up to five adults. The instrumentation is akin to an arcade game with lots of great displays for the eyes to feast on. 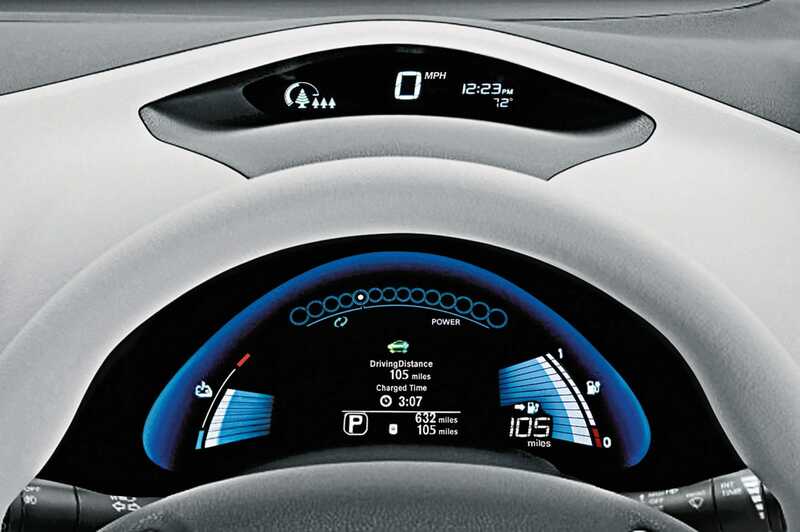 An “eyebrow display” above the instrument panel displays the Eco indicator and speedometer clearly. A lower liquid crystal meter displays the state-of-charge meter so one always knows their range and numerous other aspects of the Leaf’s performance and charge. There is much less fear of “range anxiety” because the 2017 Leaf traveled about 107 miles without needing a new charge. What made the 107 mile range even better is a greatly accelerated “quick charge” time. Once can now ramp up the 30kWh battery all the way up to 80% of capacity in only 30 minutes with the Quick Charge system. Even with no special charge, it only takes six hours to fully charge the Leaf, which means it can easily be driven 90 miles to the office (who lives THAT far away?!) and plugged in when one arrives and then drive the entire way back home after a typical work day without using a drop of old-fashioned smelly fossil fuel. But, it is about to get even better. The new 2018 Leaf, which will debut early this coming year beats this mileage by about half. That means the new Leaf will travel about 150 miles on a charge. Not only will the range be so significantly increased soon, but the MSRP will actually go down with the base price to weigh in at under $30,000. Making the 2018 model even better is the availability of Nissans ProPILOT Assist. 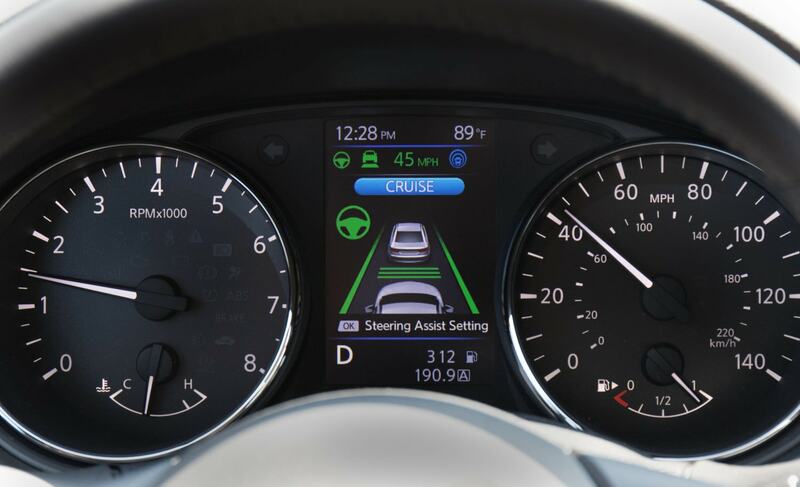 ProPILOT Assist uses a forward-facing camera, forward-facing radar, sensors and electronic control module to help the driver stay in the center of the driving lane and to maintain vehicle speed (Like traditional cruise control) or help maintain a gap to the preceding vehicle if the vehicle speed drops below the driver-set speed. It also can slow the vehicle to a complete stop and holds the vehicle during traffic jam conditions.